This is a guest blog post written by Ervin & Smith. You can find more information about Ervin & Smith here. The Leprechaun Chase is more than just your everyday 10K race. Instead of just battling for your own personal record, this race is a battle of the sexes—men versus women, lads versus lasses—for immortal glory. And a free green beer at the after-party. So it was an easy decision when Pink Gorilla approached Ervin & Smith about visually rebranding the Leprechaun Chase. The Pink Gorilla team is known for creating big-time experiences at their races—and they tasked us with bringing the visual identity to the same level. The first thing we tackled was the logo. We wanted a logo that reflected the fun and energetic atmosphere of the race, but was also chock-full of meaning. From the traditional Irish Claddagh ring and gender symbols to the overflowing beer mug being pulled from both sides, the logo tells a story. 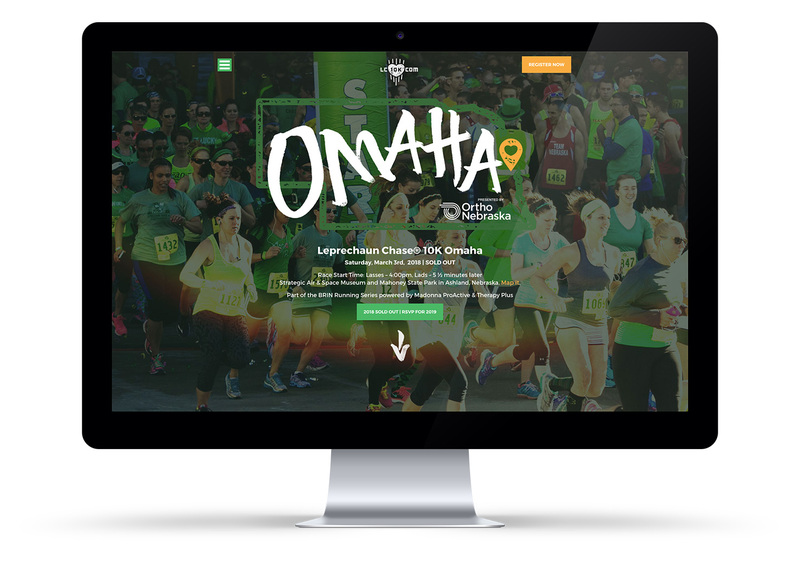 When it came to the website, we wanted to create something that would drive sign-ups and engagement with the race. We used the race’s unique chase format to create fun and engaging split-screen video for the home page header. Event photography and bold, handwritten headlines throughout the site showcase the excitement of race day. The opportunity to brand another Pink Gorilla event was a great experience. The fact that our team is made up of runners and past participants was just icing on the cake. Of course, being a part of something that helped double race registrations and create the fastest sellout in the history of the event is nice too.